Seagate Technology has announced it is shipping the first 2TB, 7mm-high hard disk drive (HDD) — the Seagate Mobile HDD. The Mobile HDD offers Self-Encrypting Drive (SED) and FIPS 140-2 SED models that are available in the same 7mm design. With only two platters, the Mobile HDD weights just 3.17 oz., which is 25% lighter than the previous generation of mobile hard drives. 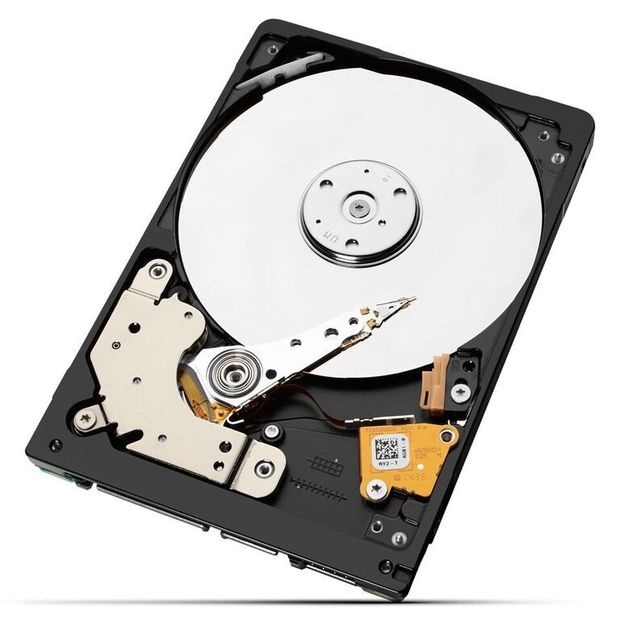 It is also the fastest and most power efficient 7mm drive in the industry, Seagate said. A look inside Seagate's new Mobile hard drive. The Seagate Mobile HDD is being marketed for use in ultra slim notebooks and is available in both 1TB and 2TB capacities. "Our engineers have been able to boost areal density to 1TB per platter in a 2.5-in. form factor, allowing our OEM customers the flexibility to design and build virtually any kind of laptop they can envision, with plenty of storage to boot," said Matt Rutledge, Seagate's senior vice president, client storage. "With the introduction of Seagate's new Mobile HDD, laptop manufacturers no longer need to make tradeoffs between these seemingly competing mandates." The drive uses a standard SATA 6Gbps interface, which allows it to be integrated into existing laptop designs and portable computer upgrades.